It is recipe time lovelies! This is a fix it and forget it one, which are always my favorite! Get it ready in the morning and by dinner you are ready to gather your family around and share a meal together. So get out your slow cooker and get ready for some yumminess! place chopped potatoes in the bottom of a slow cooker. 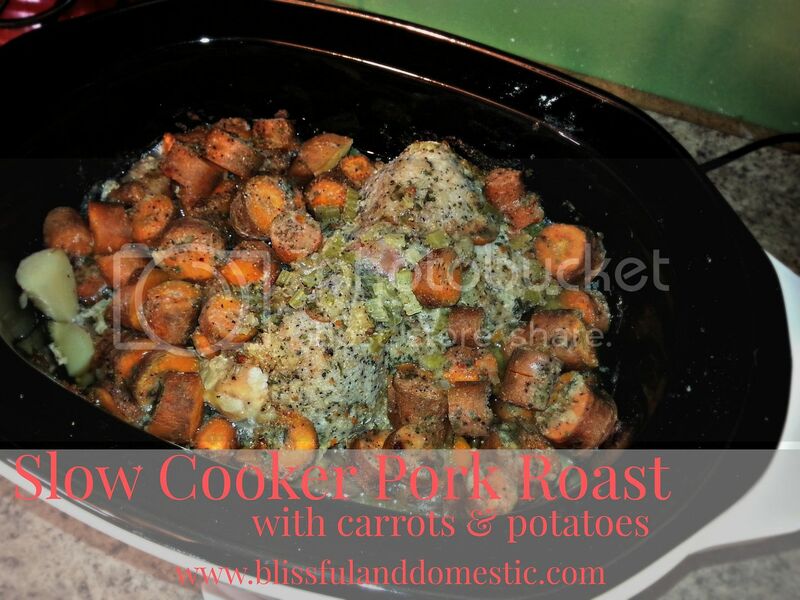 Next place pork roast on top of potatoes with carrots around roast. Pour 2 cups of water into slow cooker. Sprinkle seasoning packets over roast and carrots. Cook on low 7-8 hours. Serve with applesauce and rolls. You all shared so many great ideas for cooking pork in a slow cooker on the B and D Facebook page. Check them out below! You guys are awesome!